Pet Pics Daily A community for pet lovers! Many pet owners consider their animals as members of their family. Just like humans seeing a doctor, pets require a veterinary for check ups from time to time. These visits can be costly and this is why many pet owners are inclined to spend whatever is necessary to ensure they receive the best medical care for what they are paying for. Finding the right pet health insurance plan for your budget is a very important financial decision. There are many questions that you should ask before getting insurance, so we’ve put together a list of companies to help you decide which one provides the best coverage for your pet. AKC Pet Healthcare: AKC Pet Healthcare is based on the American Kennel Club and has more than twenty years of experience. AKC Pet Healthcare offers coverage for your pets in all of the fifty states, and offers five different plans providing different levels of care to fulfill all your needs from basic coverage to fully inclusive, specialist policies. ASPCA : ASPCA Pet Health Insurance is operated under the Hartville Group Inc, and is the only strategic partner of the ASPCA. ASPCA has more than ten years of experience, and is also active in all 50 states. The ASPCA Pet Health Insurance offers 4 levels to provide coverage from illnesses, accidents and routine and annual veterinary checkups, and also provides insurance to an elderly pets which can be difficult to come by. Embrace Pet Insurance: Embrace Pet Insurance based in Cleveland Ohio offers pet insurance in all 50 states. The company boasts awesome customer service with a customer bill of rights that include the right to complain and be heard, quick responses, and completely transparent policies. They also provide a spectacular thirty day refund policy where clients can try out services risk free. Embrace offers several difference options for different services, and policies with Embrace cover your pets for their entire lifetime with discounts available for certain cases such as electronically tagged animals, and multiple pets to be insured. Healthy Paws Pet Insurance & Foundation: Healthy Paws Pet Insurance & Foundation provides one plan that covers everything related to your pets’ injuries, illness, hereditary conditions, and emergency care. They cover up to 90% of any diagnostics tests, medications, surgeries and other treatments prescribed by any licensed vet. Healthy Paws is also another provider with awesome customer service with the first claims filed processed within 5-10 business days, and any claims filed after are processed within 72 hrs. Pet Care: Pet Care Pet Insurance Programs is offered in all Canadian Provinces, and is available in every state except Alaska. Pet Care operates under different insurance names depending on the location, other names used are: QuickCare, ShleterCare, 24PetWatch, and Union Plus Pet Watch. There is guaranteed acceptance into the pet health care insurance option with no denial based on age of the cat or dog, rather certain policies may be unavailable based on the age of the pet. Once the dog or cat is insured they are insured for that coverage for life. There are many flexible plans to choose from with policies that cover from 70% of procedures to 90% and in some cases 100% of the costs. PetFirst Healthcare: PetFirst Healthcare founded in 2004 with the goal of offering simple, easy-to-understand pet insurance for dogs and cats. PetFirst’s pet insurance premium is not affected by the age, breed, or medical history of your dog. PetFirst is also the only company offering family plans designed for multi-pet households, with a family plan, owners can insure up to three pets under one plan. Plans are available to cover accidents only or accient and illness. PetFirst’s coverage differentiates itself from the pack as it reimburses claims based on what is actually paid at the vet and not what they think should have been paid. Petplan: Petplan US is one of the longest running pet insurance carriers, and has been in the business for over 30 years. The PetPlan insurance worldwide has over 1 million customers. What differentiates Petplan from other carriers is that they offer coverage of hereditary conditions and illness that may come up when owning a purebred animal. With their coverage for life guarantee, it ensures that a pet’s health care costs will be covered on any chronic illness or disease that the pet may experience in its lifetime. Petplan pet insurance offers unique customization insurance options ranging from the basic veterinary care and emergency illness to unconventional treatments from acupuncture and chiropractic services provided they are recommended procedures by the regular vet. Pets Best: Pets Best insurance founded by Dr. Jack Stephens, DVM, founder of pet insurance in the U.S. and is the only veterinarian founded and operated pet insurance agency in the United States. 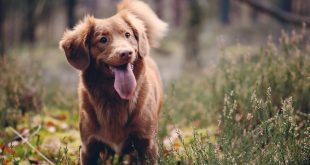 Pet Best offers pet insurance in all 50 states and reimburses your choice of 70%, 80%, 90% or 100% of the cost of care, emergencies or even specialists based on the plan selected – with the standard coverage, 80% of the costs of procedures are covered after the deductible has been reached. Pet Best Insurance has a policy that they list what isn’t covered to the pet owner – if it isn’t listed as not being covered, they will cover it. This includes unconventional treatments such as chiropractic services, and there are no networks of vets, and owners can choose the vet of their choice to be covered under Pet Best. They do not cover items deemed “preventable” or parasites. Pet Secure: Pet Secure insurance is one of the largest Canadian pet insurance providers and are 100% Canadian owned and operated all in Canada. Pet secure offers 4 levels of pet insurance for cats and dogs. Each level regardless of premium chosen is able to cover 80% of the illness or accident costs including x-rays, medications, hospitalizations and visits to the vet. Pet secure also offers coverage of hereditary illness and preventative care is an option and included in one of the plans. Pet secure offers a Secure for Life guarantee providing coverage to the animal for life as long as the pet owner stays with Pet Secure. Trupanion: Trupanion pet insurance programs offers coverage in all 50 states, Canada and Puerto Rico. Trupanion insurance plan is designed for coverage with accidents and emergency care in mind rather than everyday pet care. Trupanion programs cover unexpected veterinary costs, with expected costs or routine costs not being eligible for coverage. Trupanion insurance programs cover up to 90% of your actual bill and reimburse medications, tests, and even trips to the hospital with no restrictions or caps on payout amount. Animals up to the age of 14 are accepted onto Trupanion’s policies and animals that have not been spayed/neutered within the first year (or 60 days after adoption) are covered as “breeding animals” which costs more and is limited. VPI: Veterinary Pet Insurance, also known as VPI is available in all 50 states. VPI covers animals from cats, dogs, birds and even exotic animals. VPI offers coverage for emergency care and illnesses that arise and an optional coverage is offered to cover any routine care that might be needed. VPI works on a benefit schedule, that lists all the available coverage and how much of each procedure VPI will cover at the time of purchase. Payouts are on a benefits schedule, which means that while you have to pay the vet the total amount charged, and VPI will reimburse you according to their payout schedule leaving you with possible added out of pocket expense. Get Pet Pics Daily in your inbox!